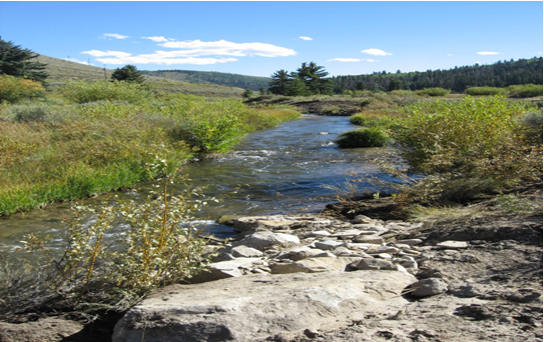 ​The West Colorado River Watershed is located in east-central Utah and drains an area of about 16,500 square miles. It ranges in elevation from 3,700 feet to 11,000 feet. Precipitation averages from 30 inches per year in higher elevations to 7 inches per year in the lower regions. 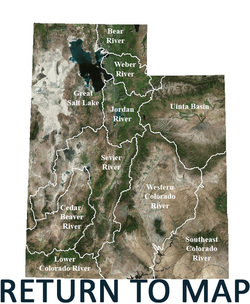 Major rivers include the San Rafael River, Green River, Dirty Devil River, Muddy Creek, Escalante River, Fremont River, and Price River, all of which end up draining into the Colorado River and Lake Powell. Other major water bodies include, Panguitch Lake, Fish Creek Reservoir, Fish Lake, Electric Lake, Millsite Reservoir, Huntington Reservoir, and many others. Water use includes irrigation, wildlife, recreation, municipal, and industrial uses. Water quality issues include dissolved solids, pH, dissolved iron, sediments, metals, and salinity.